Jared L. Booth assists clients in sales, leasing, and consulting regarding all property types throughout the country as a top producer at his number-one globally ranked office, now associated with Colliers International as of 2018. As a fourth-generation real estate professional, Mr. Booth is a trusted advisor and consultant helping clients successfully navigate the complex real estate transaction process since 1995, with a broad background in real estate consulting, brokerage, financial analysis, and expert witness proceedings. Mr. Booth is uniquely the only broker to receive recognition as both the Utah Commercial Realtor of the Year (2015), and the Utah CCIM of the Year (2012) along with being a recipient of Presidents Circle, Circle of Excellence, Platinum and Gold Hall of fame awards from 2006 through 2018. Mr. Booth obtained his Certified Commercial Investment Member (CCIM) designation in 2007. The CCIM designation is one of the most coveted and respected designations in the commercial investment real estate industry, with recipients recognized as experts in their field. Reflecting the caliber of the program, only 6 percent of the estimated 150,000 commercial real estate practitioners nationwide hold the CCIM designation. Approximately 65% of Mr. Booth's practice is traditional brokerage across multiple disciplines. Approximately 35% includes consulting, corporate and legal assignments. "We had a very specific list of requirements and needs as we began our search for a new space. Jared was extremely diligent and helpful as we looked at numerous locations over an extended time period. He never tried to push us in a certain direction and he never tired of our endless questions and desire to see new locations. Jared was very professional, helpful and thorough during each step of the process. He spent countless hours working for us, and focused on representing our needs over simply earning a commission. We enjoyed working with him. I gladly recommend Jared to anyone in need of a commercial real estate expert.” -A. Pohlman, Partner, HyperX Media. Russ Booth was raised in Salt Lake City, earned a master’s degree from BYU and served as a department chairman for the BYU administrative offices. 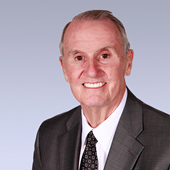 He began his career in real estate, now over 40 years ago, in 1973 with Woodbury Corporation as a leasing agent, a property manager and a development coordinator for more than ultimately 60 properties, including hotels, apartments, retail centers, office buildings and industrial properties. For over 20 years Russ served as president and principal broker of Mansell Commercial Real Estate Inc., which was purchased by Coldwell Banker NRT in 2001. Russ worked with Coldwell Banker Commercial and then CBC Advisors since 2001. He joined Colliers International in 2018. Russ has spent many years in volunteer positions in the real estate community, including committees and as president of the Salt Lake Board of Realtors and the Utah Association of Realtors. Russ served as the 1997 president of the entire National Association of Realtors (NAR), based in Chicago with 1,100,000 members. Subsequently he twice served as chairman for the International Consortium of Real Estate Associations (ICREA), with real estate groups of over 40 of the largest countries of the world participating. He is currently the chairman of the Real Estate Commission of the State of Utah. Real estate designations currently held are the CCIM, CRE, CRB, CIPS and GRI. In addition to general commercial brokerage and leasing, Russ spent many years working for corporate and institutional groups, such as the DFCM of the State of Utah, the third district court on disposition of over 300 properties of failed financial thrifts in Utah. He has done extensive fee-based consulting on larger projects, such as the Delta Center and Hill Air Force Base; managed and sold the former Word Perfect/Novell Campus in North Orem and land for the Swire Coca Cola Draper facility; leased Ernst & Young facilities; and helped buy, sell, reposition and develop land and buildings for the Jordan School District. Russ is very active in legislative and political activities, local issues in his Millcreek neighborhood and church responsibilities and is manager of several real estate investment partnerships. He and his wife, Nina, have 6 children 13 grandchildren. Gwen consistently demonstrates a commitment to excellence when serving clients. Her drive, attention to detail and creativity provide flexibility in developing solutions that achieve desired results. 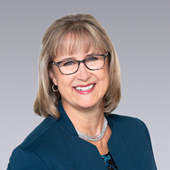 Gwen’s commercial real estate experience spans the spectrum of brokerage, development, project management, advisory and consulting services, public and private partnership ventures, financing (debt and equity), asset management and strategic planning. A key focus has been representing ownership entities with the objective of maximizing returns to owners and their investors. She has led teams on a variety of commercial real estate projects ranging from $2 million to $80 million. 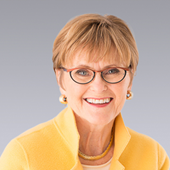 Throughout her career, Gwen has provided services to clients on several property types including office, multifamily, industrial, land, and mixed-use real estate. Gwen joined Colliers International in 2011. Prior to that, she was with Enhanced Value Strategies from its formation in 1997 through 2000 and rejoined the firm in 2008. From 2000 to 2008, she was Vice President of Development and Corporate Services at a firm where she lead an $80 million historic redevelopment, as well as leadership and consulting with Corporate Services clients. Prior to 1997, Gwen worked with Paragon Group as a regional vice president where she was instrumental in numerous acquisitions, dispositions, debt and equity transactions. She played a key role in the formation of the Paragon REIT (NYSE) that subsequently merged with Camden Property Trust (NYSE). Ms. Ebberts has thrived as a leader in the real estate industry for the past 20 years. Earning her the title of Vice President as well as adding her Wyoming broker’s license to her growing list of broker’s licenses in Utah and North Carolina. Before moving to Colliers International in 2018, she joined CBC Advisors in early 2017 as a member of an industrial brokerage team following a relocation from North Carolina to Utah in order to be near family. In her short time in Utah, she has completed over $6 million in Utah commercial real estate transactions, adding to her previous $750+ million. Given her outstanding background and experience, Ms. Ebberts has expanded her industrial focus to include all types of commercial real estate investment, tenant/landlord representation, brokerage and development, forming a new partnership with Gwen Knight, Sr. Vice President, Colliers International. Ms. Ebberts diverse background includes being the owner of a large real estate brokerage firm in North Carolina, as well as a custom-cabinet manufacturing company and a large commercial security firm. She previously held an electrical contractor’s license and was a senior executive at an IBM partner firm developing currency exchange software. Through Jane’s entrepreneurial spirit, management expertise, development and business ownership background she has advised her CRE clients through the challenges of investment analysis, land acquisition and planning, project management, marketing and exit strategy.